The Carter Burden Network understands how important it is to continually enrich one's life with art and culture. Therefore, we provide multiple outlets and programs for seniors to create, discuss and participate in arts and culture activities. We use creative approaches that inspire and encourage students at all skill levels and with multiple areas of interest to help you find your own unique artistic outlets. 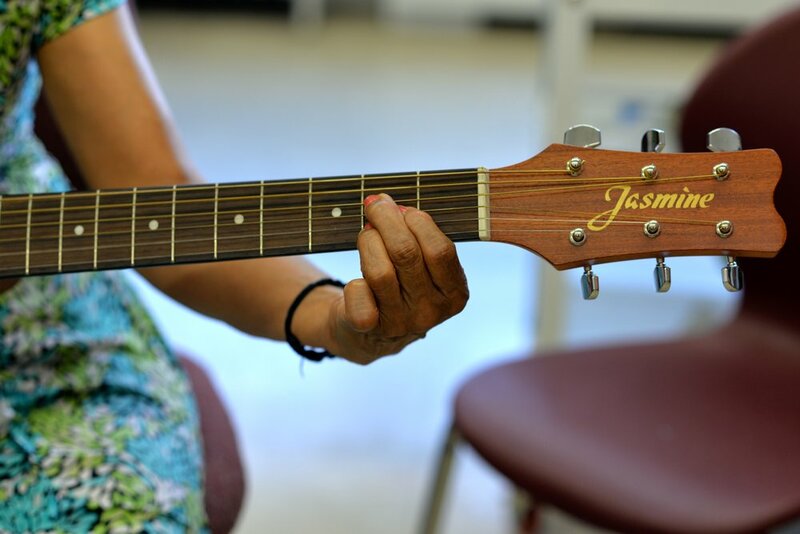 Our multi-faceted Arts Programs engages the imagination with exciting and stimulating activities such as ceramics, jewelry-making, sewing, singing in a choir, joining a dance group, taking guitar lessons, visiting a museum and much more. We believe that when creativity is unlocked, you see the world in new ways. So we invite you to put a brush to canvas, challenge yourself with an imaginative project or just discover your favorite new piece of music. CBN strives to help the artist within you come alive. And the Carter Burden Gallery in Chelsea celebrates works by re-emerging older professional NYC artists. We invite you and all seniors to come get creative with us. Located in Chelsea, the Carter Burden Gallery (CBG) is a program of the Carter Burden Network, designed to give a voice to New York City's re-emerging older professional artists and to foster a supportive and culturally diverse artist community. Making Art Work helps connect seniors within New York City to arts, art culture, and art education. Participants are able to engage in art projects, take part in art classes, and even walk the runway in an annual fashion show. The Cultural Connections program provides seniors with opportunities to participate in the cultural and artistic life of New York City. The program coordinates outings for participants to theaters, museums, galleries, and much more. *This program concluded Summer 2018.